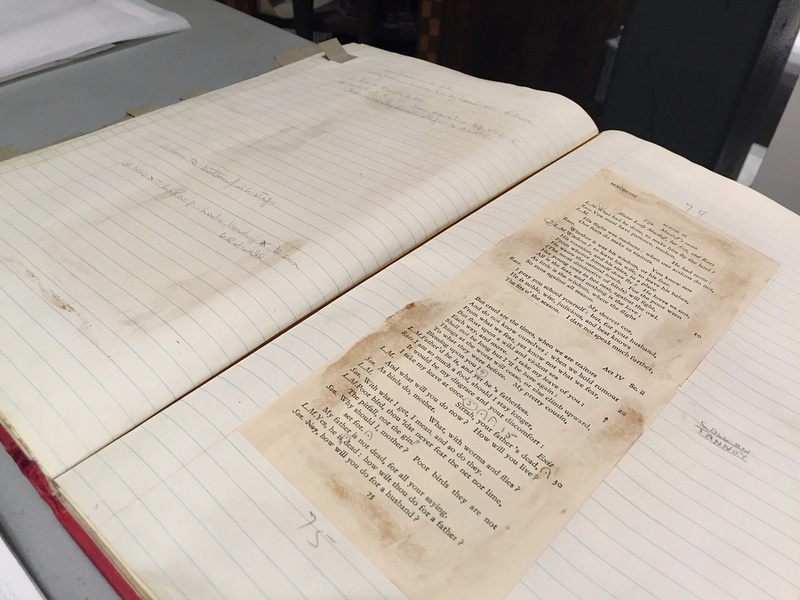 “What’s in the Stratford Festival archives? 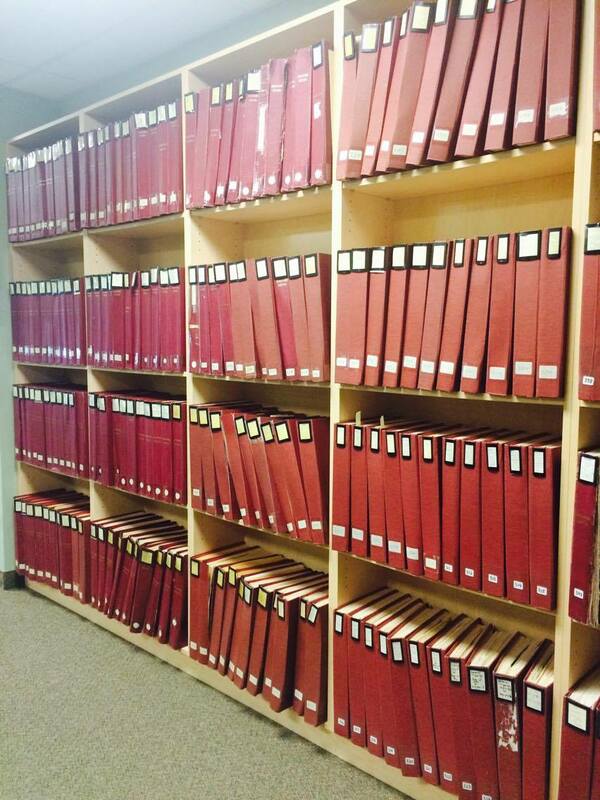 Do we even really know what archives are? Are we going to be looking at dusty photographs the whole time?” … These were all questions swirling around in our heads as we discussed our upcoming archives tour. 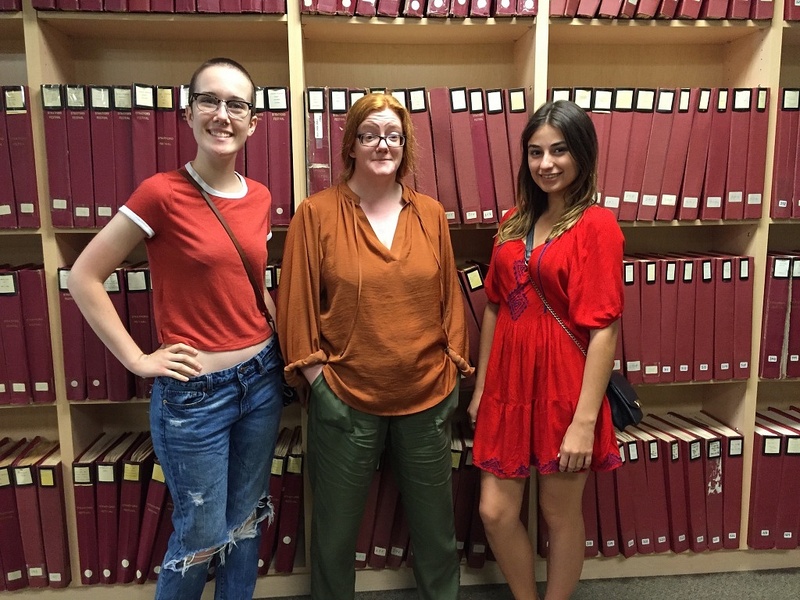 We, Caroline and Sarah, were spending three weeks in Stratford this summer taking courses through Brock University’s Dramatic Arts Department, and used this as an opportunity to generate content for this website — as you will have read in previous posts, we reviewed a number of productions and met some of the Festival’s wonderful debut performers. Our professor Karen Fricker, who edits the site, suggested to us that we tour the archives, which seemed like an excellent idea to go along with all the history we were learning in our afternoon class with Dr. Andrew Bretz! We went into this tour with a very limited knowledge of archives, and came out of it with piles of information that we were eager to share with our classmates. The most valuable thing we came away with was understanding exactly why the archives at Stratford are so important. The Stratford Festival is the biggest repertory company in Canada and has an over sixty-year history. 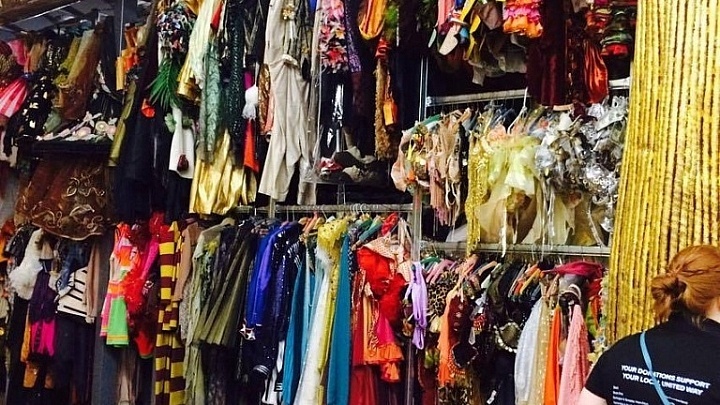 Having a place to collect costumes and set models, memorabilia, audio-visual recordings and print matter from shows and then making it available t0 researchers and the public means that this cultural history is being captured and shared. It’s also a useful tool for people in the theatre community, especially those at Stratford! Not many people seem to know about this resource, or utilize what the archives have to offer, which is why we were so thrilled to experience it for ourselves, and get to introduce it to all of you! 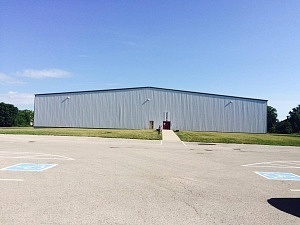 Bright and early on the morning of Saturday July 23rd we pull up to the perfectly plain but absolutely massive warehouse that houses the archives. This building is a few streets away from downtown Stratford and just minutes from the Festival Theatre. 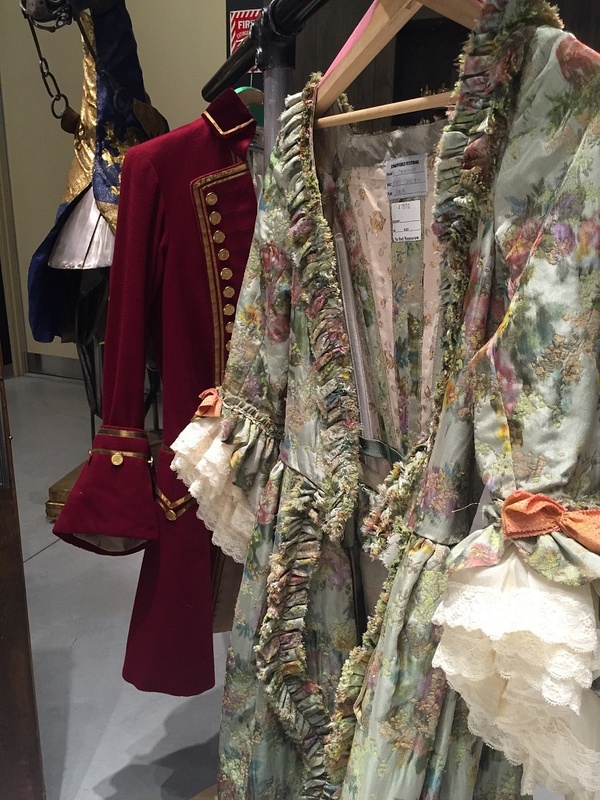 Upon entering, we’re immediately greeted with racks on racks of beautiful costumes from past productions (pictured above in the featured photo). We get ushered through a door separating the storage areas from the archives, where we meet Liza Giffen, the Stratford Festival’s Archives Director, a charming and witty woman with a pronounced Scottish accent. Liza has worked at the Archives for nearly two years. She’s always had a passion for theatre, but after discovering she wasn’t destined for working onstage, nor was she suited to the path of an academic (not enough contact with living, breathing humans, she says), working as an archivist was a perfect merger of the two. She started her career at the Woman’s Library of London, handling business and theatre archives, and eventually become Collections Manager at Leeds University, where she also dealt with theatre materials. For someone who loves variety in their work, this job is perfect. Liza explains that there’s no typical day at the archives: one day she could be travelling to Toronto to meet with someone interested in donating to the collection and meeting with a heritage organization to talk about joint projects; the next she could be processing collection donations and drawing up documentation, giving a tour, and scanning photos for a marketing event. It’s obvious when you talk to Liza how much she loves her job, and the passion she has for the Festival archives. She explains to us that the enormity and diversity of the collections sets them apart from even the National Theatre of London, whose video recordings of shows begin in the early ’90s, while Stratford has a recording of Christopher Walken playing Romeo way back in 1968. 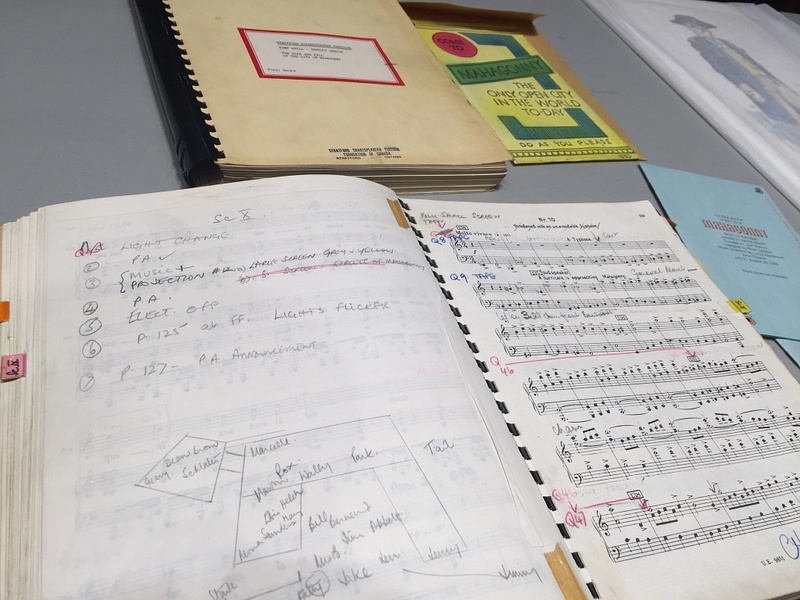 Stratford’s collections include emblematic elements from shows (such as a giant tapestry from the 2015 production of The Alchemist), original design sketches, prompt scripts annotated by stage managers, costumes, design bibles, photos, A/V materials, and news cuttings from reviews dating all the way back to 1953, the year of the Festival’s first production. While the largest group to use the archives are Festival actors, directors, and designers, they’re also open to students, researchers, other theatre practitioners, and even the general public. Liza told us they’ll sometimes have family members of a past company member come in to see photographs, or people who are just interested in theatre history. It’s as simple as making an appointment and letting the archives team know what you’re interested in seeing. A Midsummer Night’s Dream (2009), directed by David Grindley. 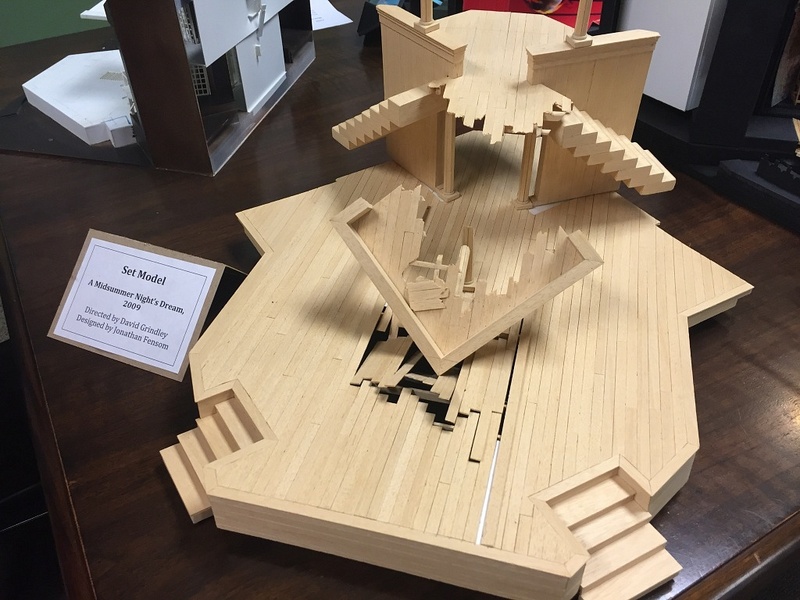 Liza told us that often on first glance, people will gasp and ask who broke the set model, before realizing that the model was built like that on purpose! 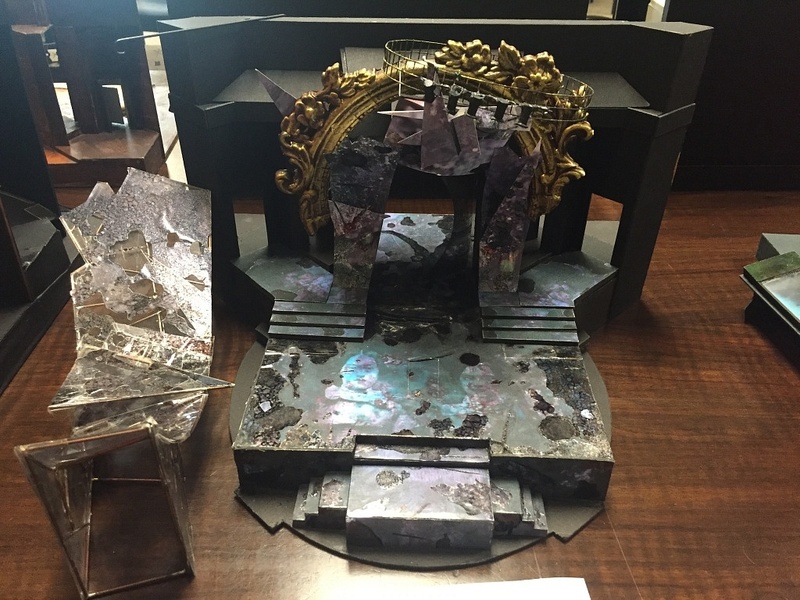 (Jonathan Fensom designed the set to look damaged). As You Like It (2010), directed by Des McAnuff and designed by Debra Hanson. This production is a particular favourite of Liza’s because it was the first Stratford show she attended, and it knocked her socks off. It helped her decide to take the job at the Festival — that along with the sense of community she felt in Stratford. As Liza puts it, there’s such a sense of coming home when you’re there, even if it’s your first time visiting. Twelfth Night (2011), directed by Des McAnuff and designed by Debra Hanson. Everything to do with a set has to be practical — see the tiny lights hidden at the top? The job of the designer is to find the beauty within the practicality. The archives’ exhibition space immediately blows you away. On one wall, you’re greeted by a display of costumes, some from Macbeth and some from King Lear. 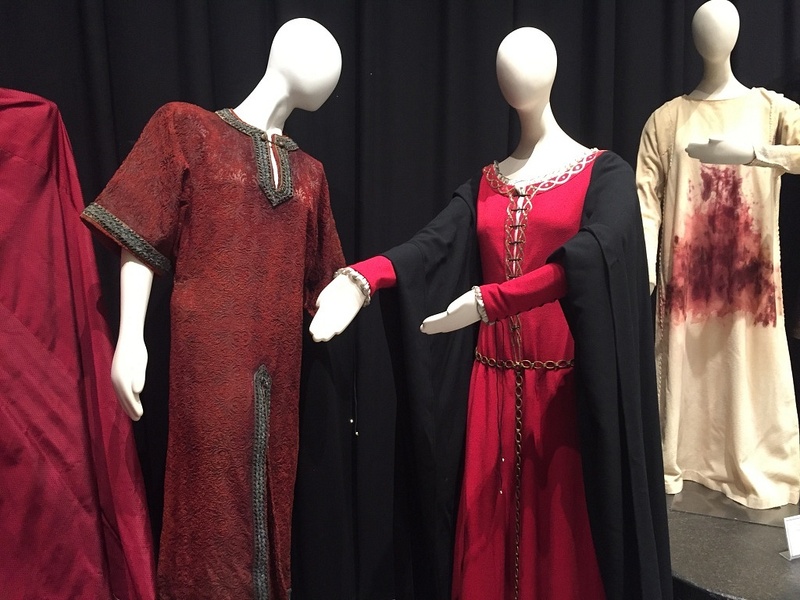 Since Macbeth is one of the big-ticket shows at the festival this year, Liza wanted to give visitors an idea of what past productions looked like. 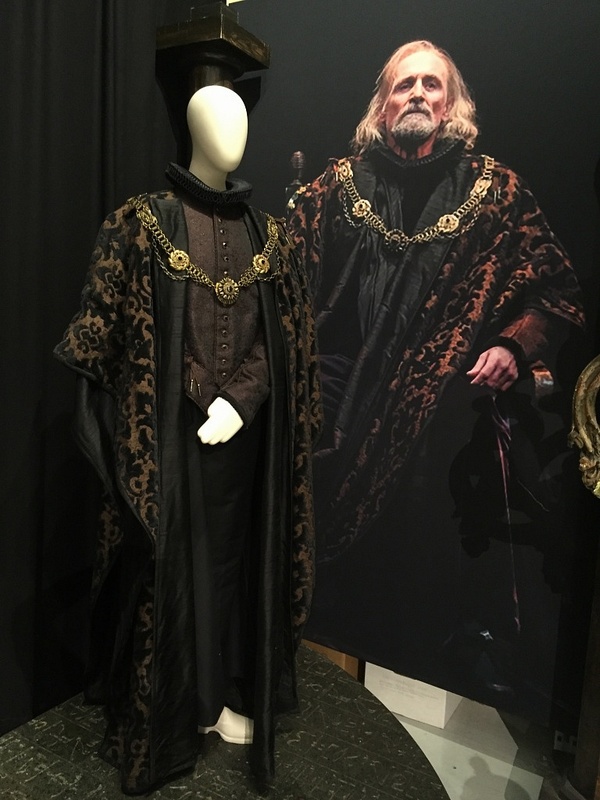 The King Lear costumes are being used to help promote the DVD recording of last year’s production of the play, directed by Antoni Cimolino and starring Colm Feore (one of three show recordings released in the Stratford HD series from the 2015 season). 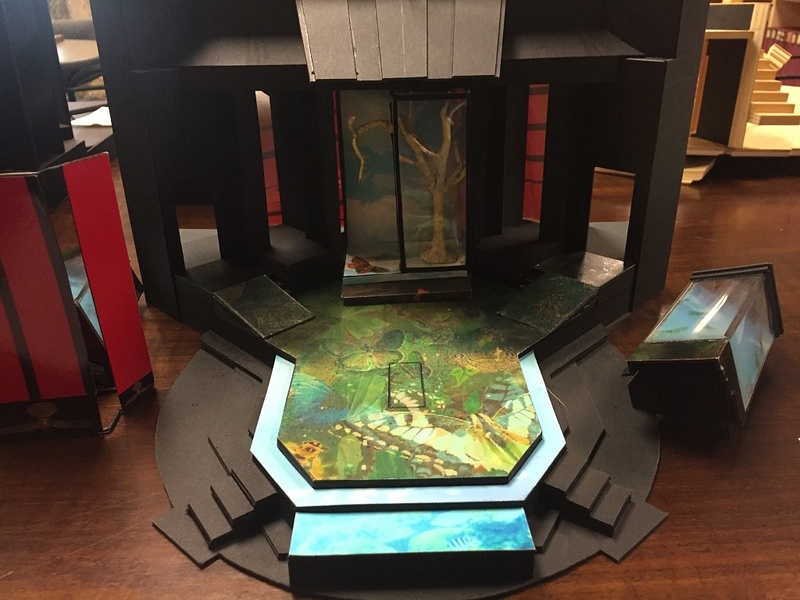 There’s also a display of John Pennoyer’s work, who designed many shows for the Festival beginning in 1976 and continuing well through the 2000s, such as A Midsummer Night’s Dream, The Taming of the Shrew, Measure for Measure, and Pericles. Worn by Don Armado in Love Labour’s Lost (1983-84), designed by John Pennoyer. The above picture is of Liza’s favorite piece in this collection. It’s so subtle, black with speckles of paint, but it shimmers when you move to a different angle. Liza thinks it really shows how the idiotic, beautiful soul of the character was embodied in the costume. 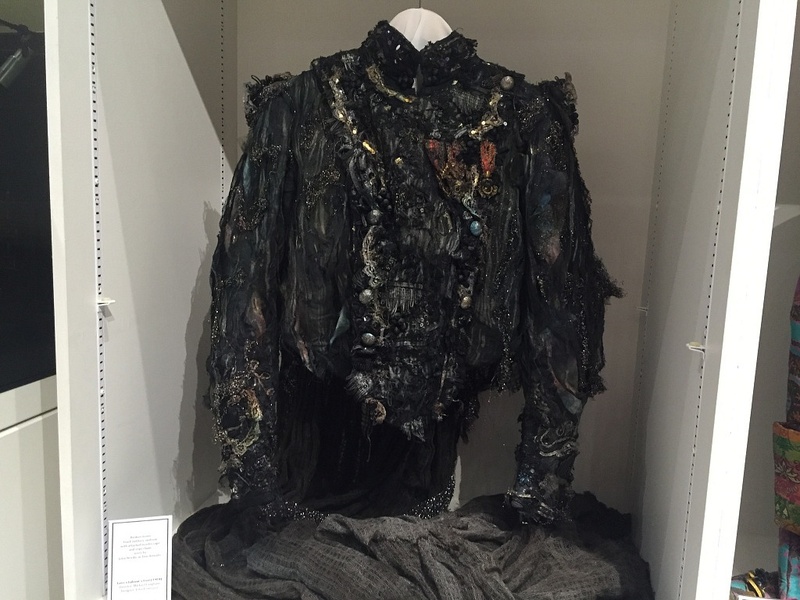 Scott Wentworth’s costume from Macbeth (1995), directed by Marti Maraden and designed by Martha Mann. Liza explains that there’s a huge significance and religious effect to the crosses on the costume at above left, which communicate that the production centres on a king who understands himself as divinely appointed, but who is also a murderer. Then you have the exquisite royal robe in the middle, which is also reminiscent of a sea of blood. 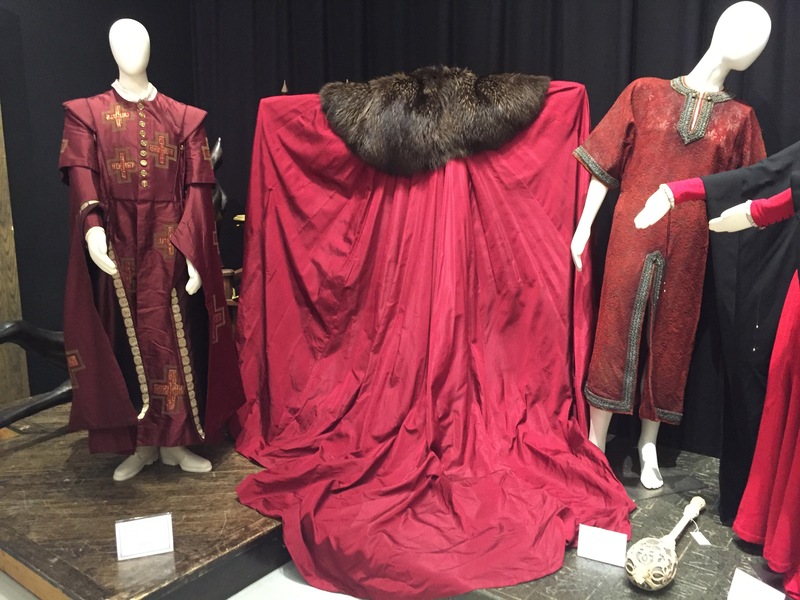 Left: Christopher Plummer’s Macbeth costume from 1962. This was a darker, dirtier version of Macbeth. Center: Maggie Smith’s Lady M costume from 1978. Right: Roberta Maxwell’s Lady M costume from 1983. Goneril’s costume from King Lear (1972), directed by David William and designed by Annena Stubbs. This production went on tour so the length of the train had to be cut down; it was about twice this length in the original production. A costume from the 2007 production of King Lear, directed by Brian Bedford and designed by Ann Curtis. This piece was recently used in Bedford’s memorial. Colm Feore as King Lear (2014), directed by Antoni Cimolino and designed by Eo Sharp. The photo was recently used in a gala to celebrate Feore, and the Archive displays the photo as well as the costume to highlight how clothing on bodies seems to come to life. 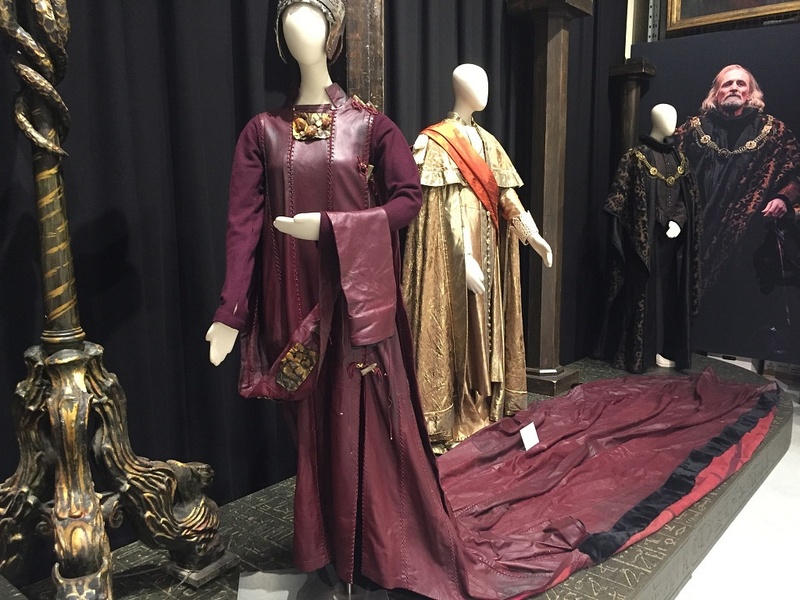 The archives are able to keep two complete costumes from every production — another great resource for current and future costume designers planning their approaches! 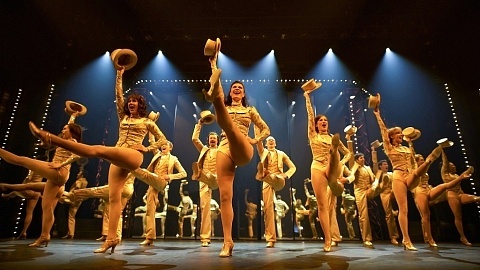 Looking at the clothing worn onstage is an excellent way to ascertain the mood and aesthetic of a show, along with examining how others may have interpreted a certain character’s style. Chandelier designed by Desmond Heeley. It’s believed to be from a production of London Assurance (2006). This set piece above was kept in the scene shop until Desmond Heeley’s death earlier this year; it’s recently been given to the Archives. 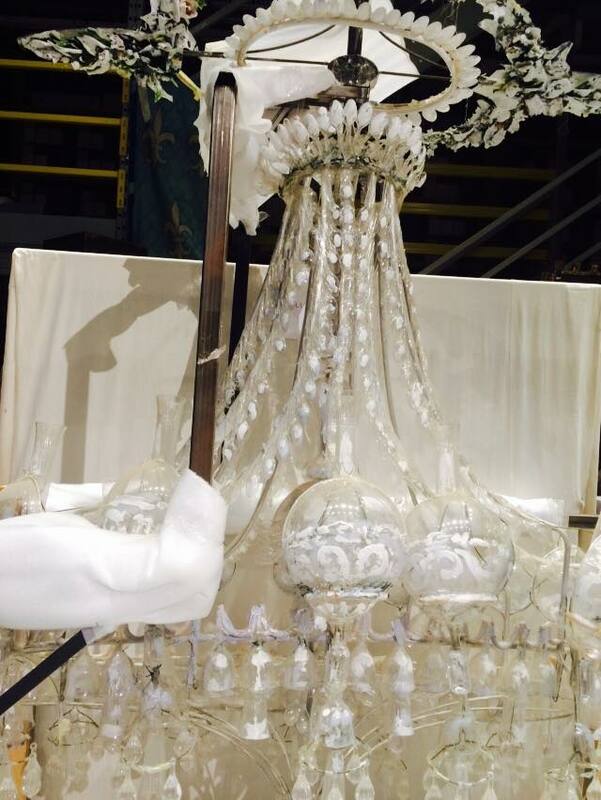 It was put together with spoons, plastic goblets, and bulbs, hand painted with broad brush strokes. It was designed to be looked at from angle that makes it look perfectly round, but when you’re standing right next to it, you can see that it’s actually quite thin. It’s treasures like these that make it so clear why the archives exist — can you imagine throwing something like this away? 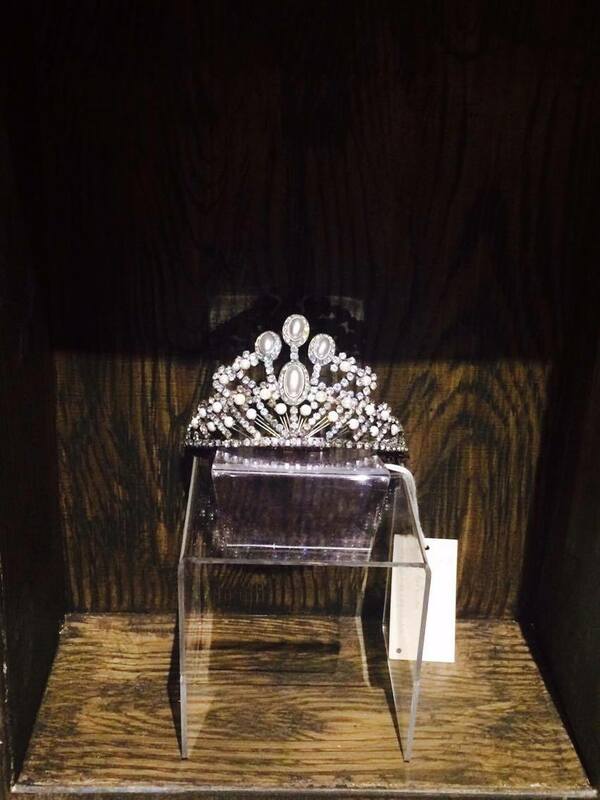 Seana McKenna’s Lady M tiara (1995), directed by Marti Maraden and designed by Martha Mann. 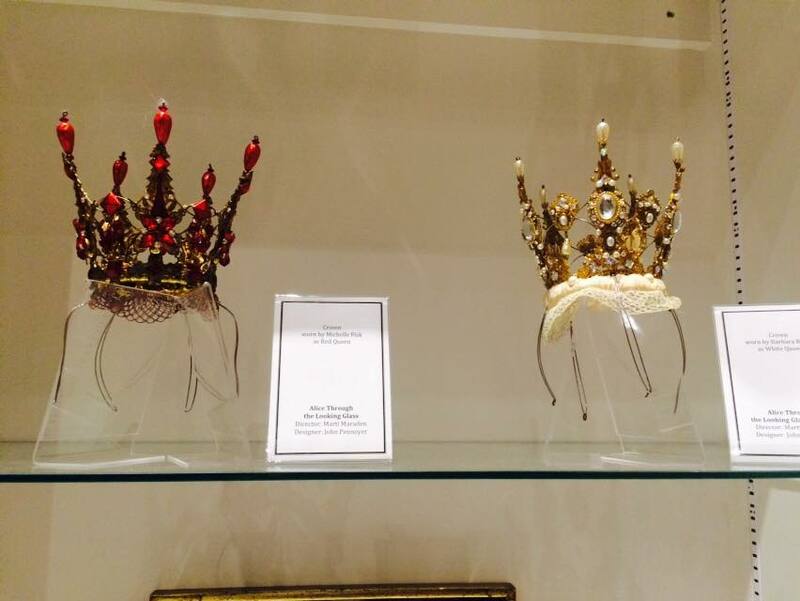 Tiaras from Alice Through the Looking Glass (2014), directed by Jillian Keiley and designed by Bretta Gerecke. Liza explains to us that keeping items such as tiaras and other jewelry used onstage helps us understand how the actor would have moved while in character. An actor wearing a crown or a number of heavy rings will carry themself and gesture differently than someone without the added weight. Knowing all the factors that go into a performance will help actors researching past role portrayals, and help creative team members looking for ideas. Early version of a stage manager’s cue book for Macbeth (1962), directed by Peter Coe and designed by Brian Jackson. Cue books from shows are kept as a record of technical cues and stage managers’ notes. Directors and stage managers may look at these for blocking or technical references, or even to see what was cut from the dialogue in a certain production. Looking at this book above from 1962 and the small number of cues it contains, and comparing it to a later version is quite remarkable. It’s evident just how far we’ve come with technology in the theatre, going from a few lights that are cued in simply as “switch on/switch off” to the complexity of the present, with different levels and colours, and hundreds of lights at designers’ disposal. 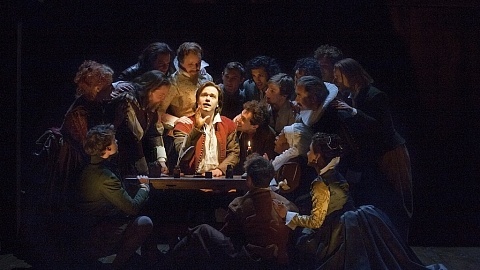 We asked before our visit to see material from Stratford productions of The Rise and Fall of the City of Mahagonny and The Beaux Stratagem; in autumn 2015 our Department staged Brecht and Weill’s musical, and the previous autumn it produced a new version of The Belle’s Stratagem, Hannah Cowley’s 1780 play whose title and content riffed on George Farquhar’s 1707 comedy. 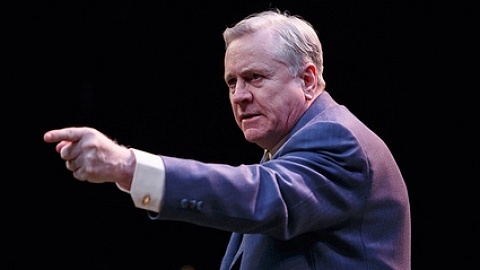 Stratford produced Mahagonny in 1962, and The Beaux Stratagem in 1985 and 2014. Liza obliged with some interesting and beautiful materials! Stage Manager’s script for Mahagonny, directed by Jean Gascon, designed by Brian Jackson. 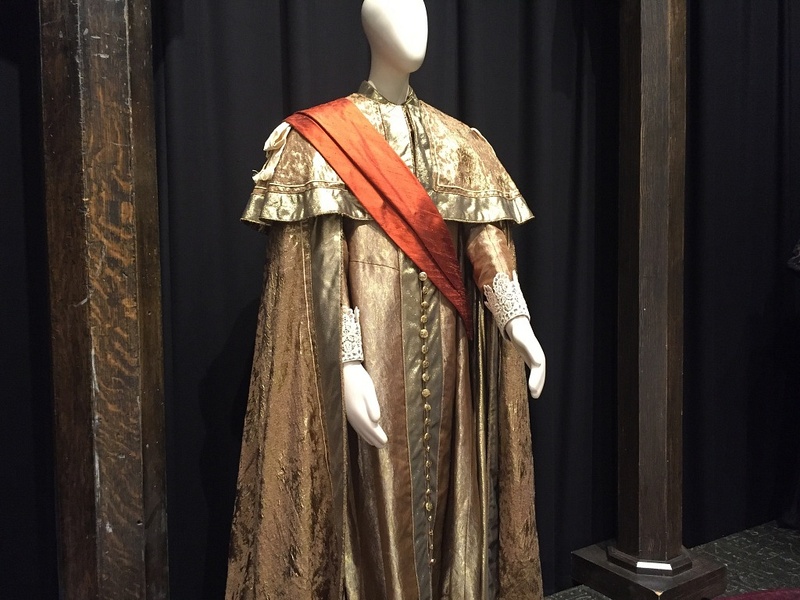 Mrs. Sullen’s costume from The Beaux’ Stratagem (2014), worn by Lucy Peacock, directed by Antoni Cimolino and designed by Patrick Clark. The archives are a delight, and we are thrilled to have been given the opportunity to explore them at such a depth. We would like to thank Liza for giving us her time and sharing her knowledge with us, and Amy White in the Festival’s press office for setting things up and making sure we had everything we needed. We were blown away by the kindness and generosity demonstrated by everyone in Stratford, and we can’t wait to return!